No UV Brighteners used on ASAT Products! Free 3-5 Day Shipping in the U.S. for orders over $50. $5 flat rate shipping for $50 and under! 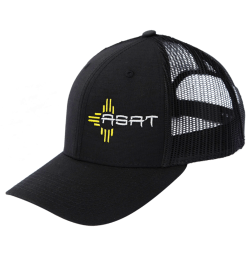 If you are combining ASAT orders with another product purchase and PayPal charges you for shipping, let us know and we will refund the shipping immediately! Call 1-406-431-0876 or email us for the cost of 2 day shipping. For shipping costs outside the U.S., please email us with your address and items you want to order. We will respond with the total cost, including shipping. Sizing: We will exchange sizes, if that becomes necessary. 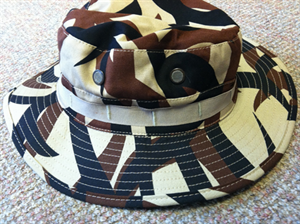 A classic boonie style hat with an adjustable lanyard. 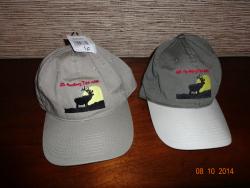 Regular style standard brim (2 3/4") ball cap. 100% Cotton, 6 panel, 1 size fits most. Adjustable slide strap in back. No UV Brighteners, Logo does NOT glow! No, it's not ASAT, but "we'd be happy to sit on your head!" Cabela's Washed Twill Cap with the Elk Hunting Tips logo on it. 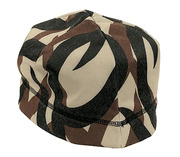 Using the same fabric as our Extreme Layers, we created this fabulous beanie to keep you warm, dry and scent free. The Extreme Beanie is treated with AG Vaportech Nano Silver Odor Suppression: Nano Silver Technology kills bacteria to virtually eliminate human odor. Anti-microbial formula requires no special activation and will not wash away in the laundry. A high concentration of wicking compounds keep you dry and comfortable. Hunt in scent-free comfort. 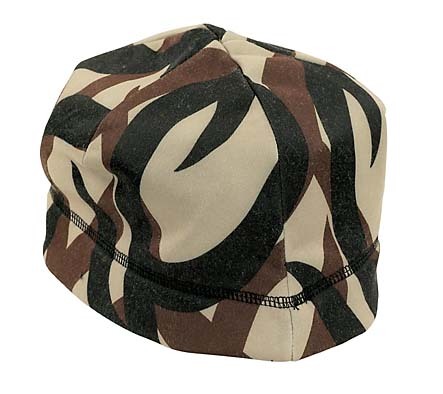 Cotton classic Dew Rag. Ties in the back, with flap down the back of your neck. 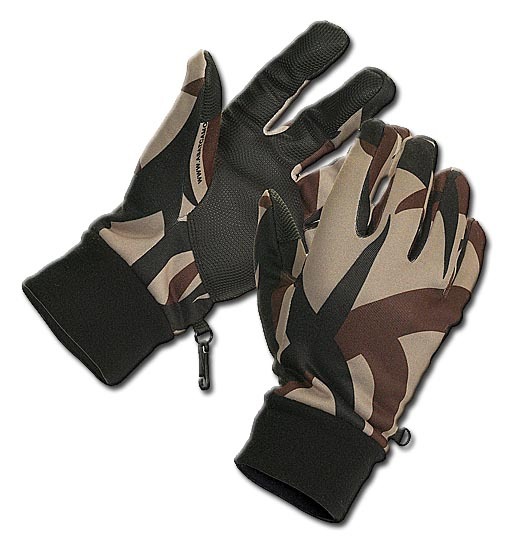 Using the same fabric from our Extreme Layers, we created this fabulous glove to keep you warm, dry and scent free. The Extreme Glove is treated with AG Vaportech Nano Silver Odor Suppression: Nano Silver Technology kills bacteria to virtually eliminate human odor. Anti-microbial formula requires no special activation and will not wash away in the laundry. A high concentration of wicking compounds keep you dry & comfortable. Hunt in scent-free comfort. The Extreme Glove is also treated with Lotus NanoBarrier Eco-Friendly Fabric Treatment: The super-hydrophobic surface structure of the Lotus leaf allows it to repel water and dirt in some of the planets most challenging environments. The Lotus NanoBarrier fabric treatment imbeds nano particles into the cloth, bionically duplicating the leaf of the Lotus. The durable, eco-friendly barrier allows natural body moisture to escape while blocking rain, other external moisture and debris. The proprietary treatment creates an air barrier between water drops and the fabric, causing water to roll off, washing away debris and odor-causing contaminates in the process. This self-cleaning process minimizes wash times and requires less detergent. Additionally, the Lotus NanoBarrier lasts up to 2-1/2 times longer than other water repellent treatments. The non-toxic, hypoallergenic treatment will not harm humans or the environment. Garments treated with the Lotus NanoBarrier are perfect for hunters and other eco-conscious outdoor enthusiasts who spend time afield no matter what the conditions. No UV brighteners! Nothing complicated here - 100% cotton jersey with knit cuffs. Out of stock for now. These wraps are 1" wide and 7" wide. There are a dozen in a package. Join Rob Smollack, owner of ASAT Camouflage, and his friends as they travel around North America seeking out the most exciting hunts this continent has to offer. 14 exciting archery and one rifle kill make this DVD heart pounding from beginning to end. The video is made up of regular men and women that have one thing in common, their love for big game hunting in an up close and personal way, with no fences, no egos, the way hunting was meant to be! Featuring actual footage from Fred Bear's historical World Record Brown Bear. 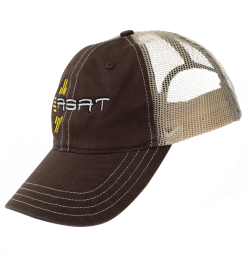 Join Rob Smollack of ASAT Camouflage and his pro-staff as they travel across North America in search of the most exciting fair chase hunting adventures imaginable. 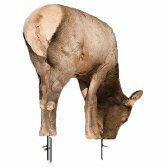 From the Colorado Rockies, where bugling elk are abundant, to the open grassland country of Alberta, where giant mule deer roam, this DVD has it all. With 14 exciting hunts for elk, black bear, mule deer and whitetail, this DVD has something for everyone. 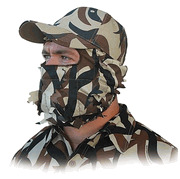 If you are a hunter that craves in your face action then this in one DVD you cannot live without! This is a fun hoodie that you will look great in. 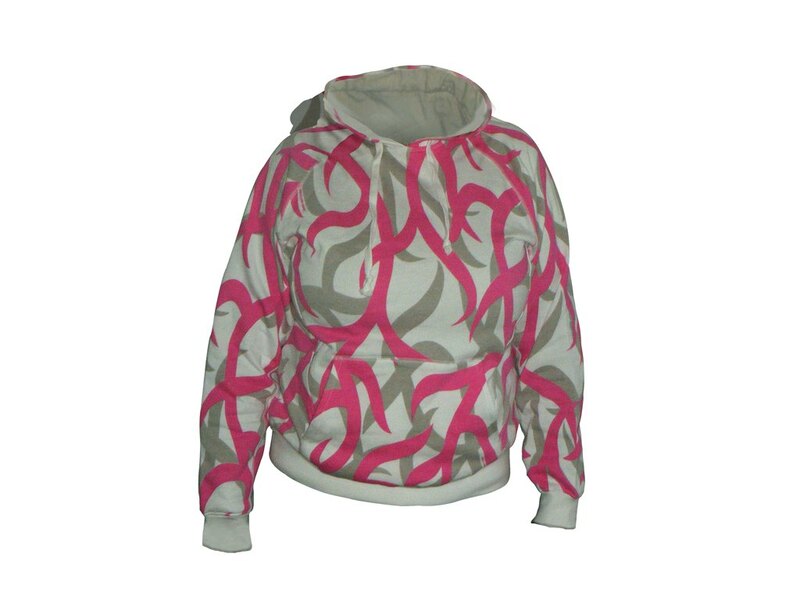 It is like the ASAT hoodie, but in the great pink color. It even has the hidden zipper pocket like the regular ASAT Hoodie. We suggest ordering a size larger than you normally would. A women specific fit custom designed for ASAT®! 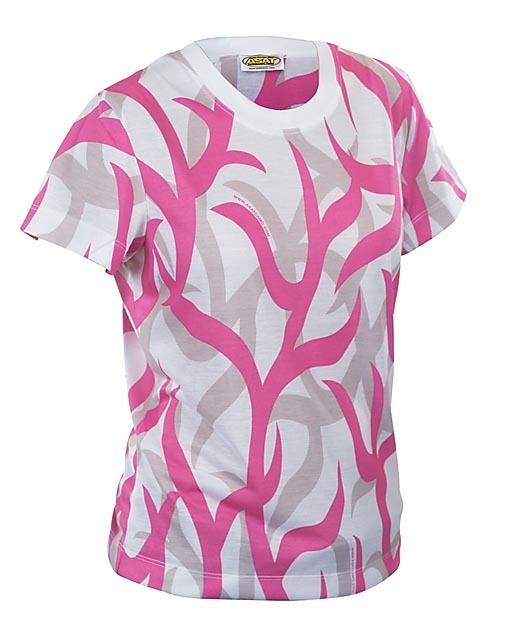 This lightweight short sleeve t-shirt flaunts the ASAT pattern in a unique pink, pewter and white design. 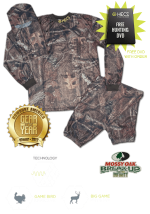 100% breathable polyester it won't weigh you down or heat you up. Perfect in every way! Yes, they did use UV brighteners on this shirt! Hey, it's all about fashion, right?